Shinedown is a Southern hard rock band that originated in Jacksonville, Florida. 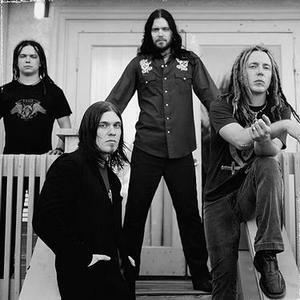 Shinedown was formed in early 2002 by Brent Smith, Jasin Todd, Brad Stewart, and Barry Kerch. They were signed by Atlantic Records. On July 13, 2003, the band released their debut album Leave a Whisper. The album sold the popular singles "Fly From the Inside" and "45". Leave A Whisper was re-released on June 15, 2004, to capitalize on the strength of a new single: A cover of Lynyrd Skynyrd's "Simple Man". This song is often dedicated to their friend Dimebag Darrell who died in 2004.